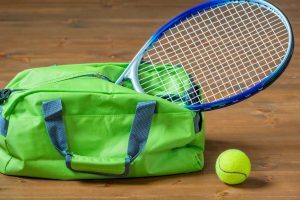 No matter if you’re an avid tennis player or just playing as a hobby or for exercise, you’re going to need a bag to keep all of your materials in. How many times have you gone to the court only to find that you either haven’t brought everything you need or that you didn’t have enough space in your bag to pack the essentials? As a woman playing tennis, it’s not only important to have a functional tennis bag that can hold everything you need, but also a bag that is stylish. 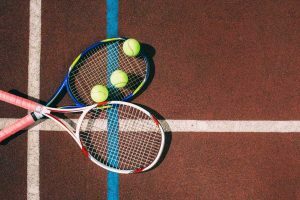 In this article, we will discuss the best tennis bag for women for the 2018 year. All of these products are user-friendly and are the top of the line products that you can find online. 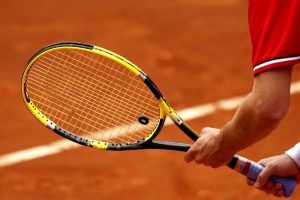 How many times have you gotten a bag and wished that it was the right shape to fit in all of your tennis equipment? 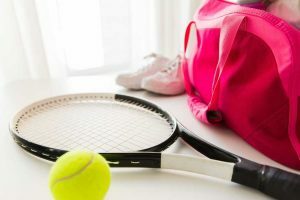 Most of the time, regular workout bags will not cut it, as they are not designed to fit tennis rackets or any other oddly shaped workout gear. The Wilson Advantage II bag is designed not only to fit your tennis racket but also give you the option of fitting more accessories and gear into other compartments. 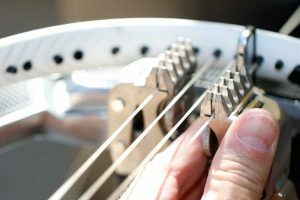 This ensures that when your equipment gets dirty, your other gear won’t. This makes this bag one of our top picks when it comes to tennis. 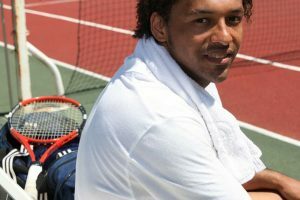 It’s not only designed to fit your equipment but is also made to be compact enough that you won’t be lugging around a huge bag when you're heading to the court. With the Wilson Advantage II bag, you will be traveling in style. 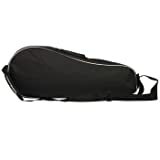 The bag is designed to have a main compartment that can hold up to two different rackets at a time. 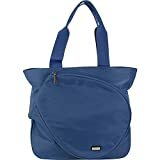 It also includes a small front pocket, which comes in handy when you’re trying to fit small accessories into your bag. The bag includes a padded grip; that way your hand won’t hurt from carrying all of your heavy gear. The shoulder strap is also padded to give you extra support, and if needed, it also can be adjusted to give you the option to either carry it on one shoulder or use it as a backpack. This makes it easy to change it up if you’re having an off day or your shoulders just don’t want the extra tension of carrying a bag. How many times have you wished you had a tennis bag that was not only designed to carry your equipment but also designed with many different color options available? This not only makes your bag efficient but also very attractive, making your bag the talk of the tennis court among other ladies. The All For Color bag is designed with many unique and colored patterns that are sure to be eye-catching and stunning. Not only was this bag designed to look good, it also was designed to give you enough room to fit all of your essentials into different compartments. This bag is not over-sized, so if you’re looking for a bag that is big enough to carry your equipment, but small enough not to be too heavy, then this bag is designed for you. 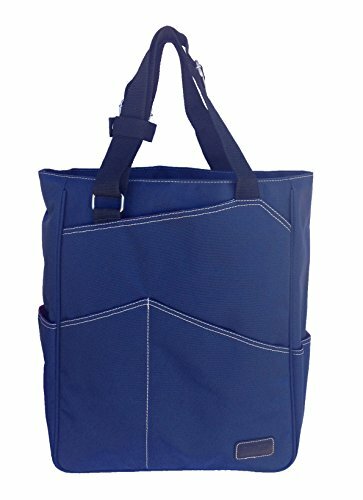 The All For Color bag is designed to be a large enough tote bag which you can take when you want to hit the tennis courts. It features a large exterior pocket which is the perfect size for storing up to two tennis rackets. It’s made of a comfortable material that has a webbed shoulder strap, making it easy to carry and also slip resistant. The ample interior gives you enough room for balls or other gym accessories, such as clothing, water bottles, snacks, and more. Included with the bag is an exterior clip which makes it easy to hang it up, and included on the bottom are metal feet, allowing you to place the bag down without it tipping over. What about having a bag that is easy to use and very simplistic? Sometimes a woman just wants a bag that is simple but still gets the job done. If you’re looking for a colorful bag that comes in many different designs, then this bag is for you. It’s not made of any fancy materials and doesn’t include any extra features, but if you’re looking for a bag that can hold all of your equipment for matches, then this is the bag for you. It’s designed to fit the essentials and provide you with the option to fit any other gear that you’d need while heading to the gym or a park. 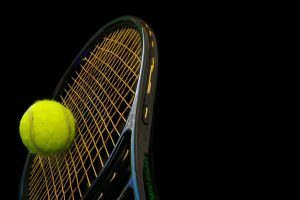 This makes it perfect for ladies who do other activities than just playing a tennis match. The Hadaki Tennis tote is designed to be an affordable but also fashionable tote bag. It not only features a stylish design but is also made of durable materials. The outside exterior of the bag comes in a variety of different colors and patterns and is designed by those who know what women like. The interior of the bag features a pattern as well. Inside you will find a large compartment that can fit all the essentials. It can hold up to two or more tennis rackets and can fit all the other gear you need such as workout clothing, water bottles, towels, etc. Inside the compartment is also a smaller zipper compartment; this is perfect for holding your wallet, keys, and makeup. If you’re in the market for a very plain but functional tennis bag, then this bag may be for you. It’s made to be useful and durable rather than being designed to attract attention. It has many compartments which can hold all of your gear and includes easy access to outside compartments which can hold your balls, rackets, etc. 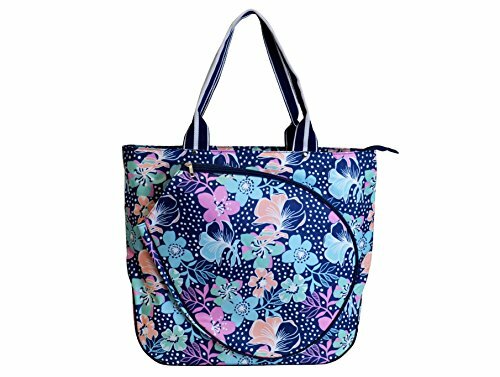 The Maggie Mather tote comes in many different colors such as navy blue, pink, black, plum, and teal. You can also find other colors available if you’re not interested in the above-mentioned colors. 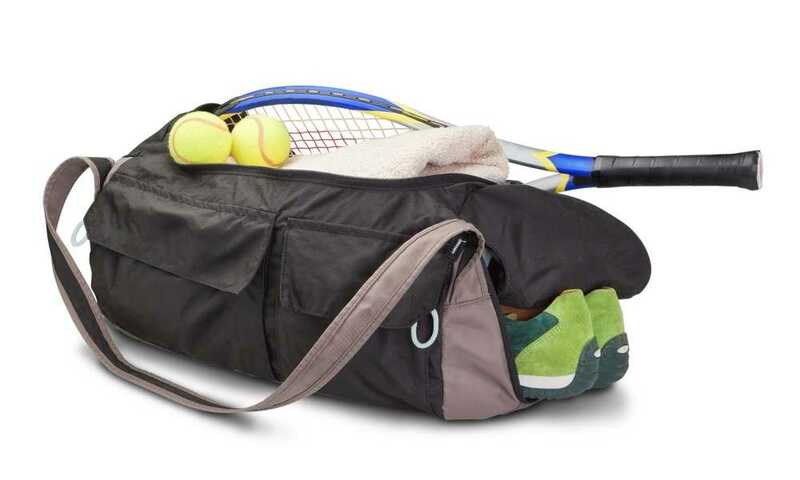 The Maggie Mather tote is designed to hold all of your tennis equipment and is good for other sports or travel. Its design allows you to take it other places without it seeming out of place. The bag has a large exterior racket pocket and gives you access to two more front pockets. The side pockets are big enough to hold tennis balls, water bottles, or sun glasses. The back pocket has a zipper on it, which allows you to carry your valuables. The inside is lined with a soft zebra-patterned fabric and includes one zipper pocket. 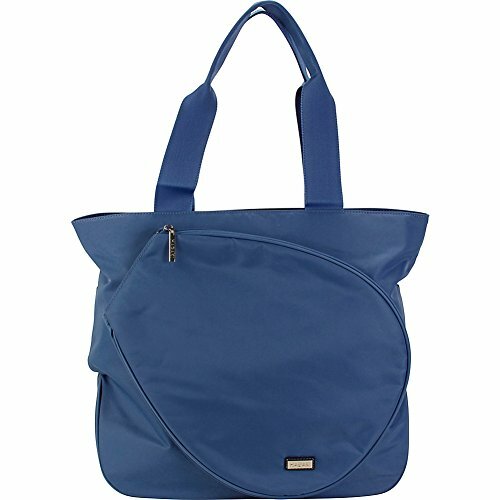 The Maggie Mather tote is lightweight, water-resistant, and has an adjustable strap. This bag is not only designed to be stylish but is also to be a high-end tennis bag. 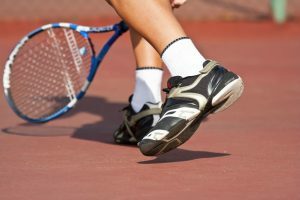 It’s made of high-quality materials and is perfect for both tennis, other sports, or travel. 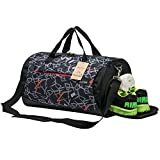 The design of the bag is like a duffle bag, which allows you to have enough room to fit all of your equipment without it looking overly large. The exterior fabric comes in many unique designs that you won’t find anywhere else; these designs are not only interesting but also very modern and unique. The Kuston Sports bag is made from high-quality oxford fabric, making it one of the higher-end bags. It’s lightweight and durable, and is also wear and tear resistant. If water splashes on it, no need to fear, as the outside fabric is water repellant. 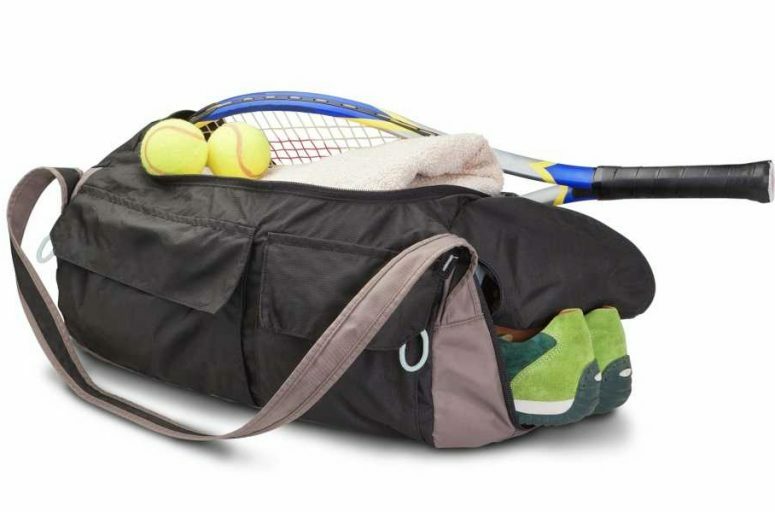 The duffle bag comes with one main compartment that allows you to keep all of your tennis essentials. It also includes an inner zipper pocket to keep valuables such as your wallet, keys, and cellphone. It has a side access shoe compartment for keeping your shoes away from your other items in the main compartment of the bag. Behind the bag, is a waterproof zipper pocket, just in case you have some dirty clothes you need to store. It has a compatible adjustable strap that can be changed for either handbag or cross bag style. Multifunctional pockets: one main roomy compartment to keep essentials, one inner zipper pocket for your wallet and cellphone,and it features a side access shoe compartment, separating shoes or other items from the main bag.In addition,behind the duffel bag,it comes with 7 waterproof zipper pocket behind it for separating some wet clothes or towels. Hopefully, one of these bags can take the award for the best tennis bag for women in your eyes. If we’d had to choose one, we’d have to recommend the Kustom Sports Bag. Not only does it have a lot of compartments, it also includes a waterproof lining, small compartments for your shoes and dirty clothes, and it also is lightweight and durable. You couldn't ask for more if you’re searching for a tennis bag; this one would have to take the cake when it comes to extra features and essentials.